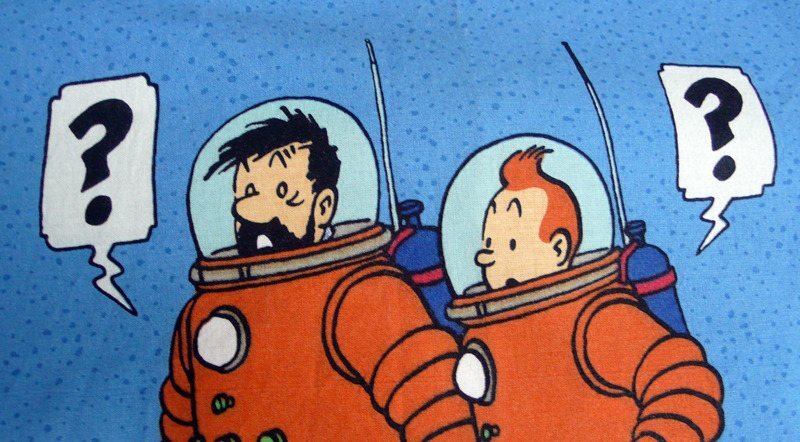 Fabulous piece of Tintin cotton salvaged from a larger piece and showing Tintin and Captain Haddock in their spacesuits. This is taken from the Explorers on the Moon book that Herge wrote as a sequel to Destination Moon. 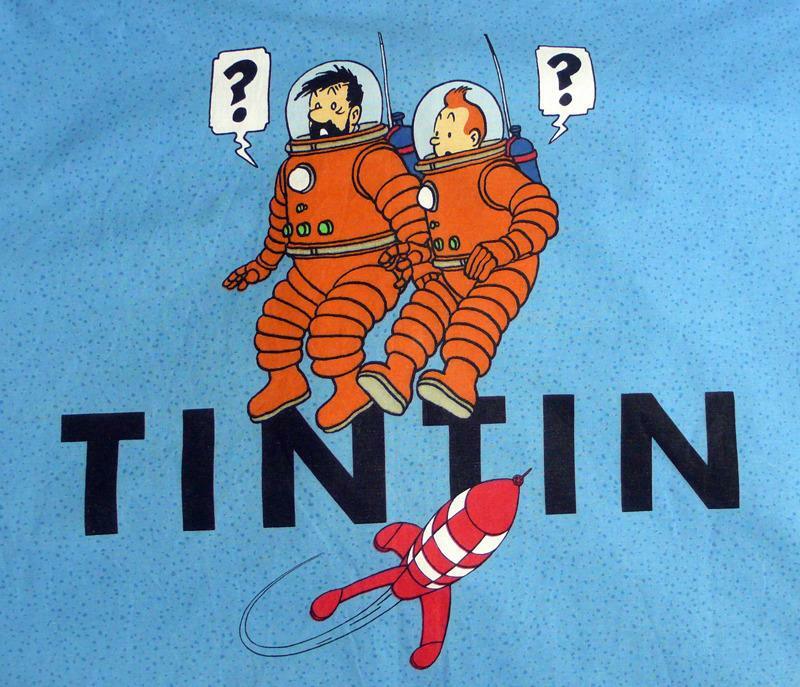 The iconic red and white rocket also features, zooming out from Tintin's name. This piece of fabric is in good condition with strong colours and clear print. It measures 45cm x 45cm - perfect for a giant cushion perhaps? You can pair it up with the other two salvaged pieces from the series, Snowy & the Thompson Twins.